On Tuesday I added the tangerine addition to my Tangerine Brown Ale, the recipe I posted last week. This is for the GBS Iron Brewer Tournament. I decided to use the juice and the zest. 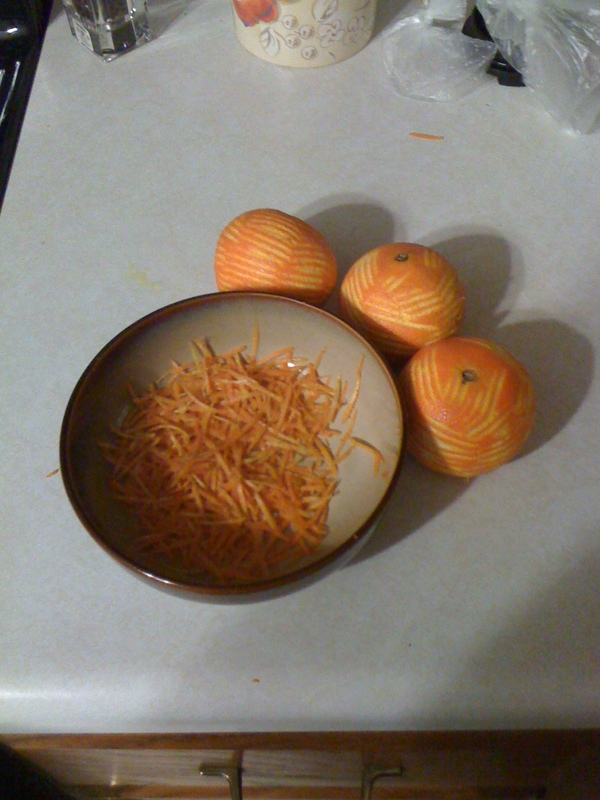 First, I took the 6 tangerines and zested them. 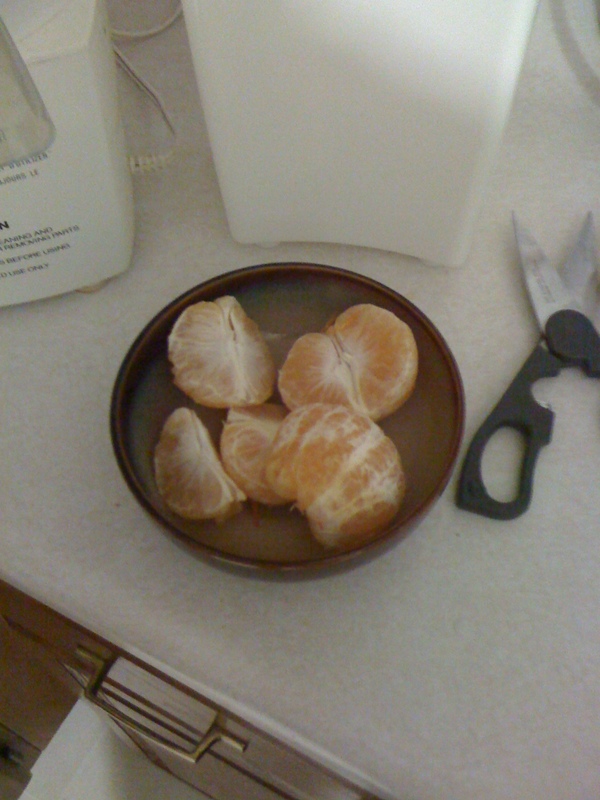 Next, I used a borrowed juicer to juice the tangerines. I got a lot less juice than I was expecting out of 6 tangerines, but that could actually be a good thing. 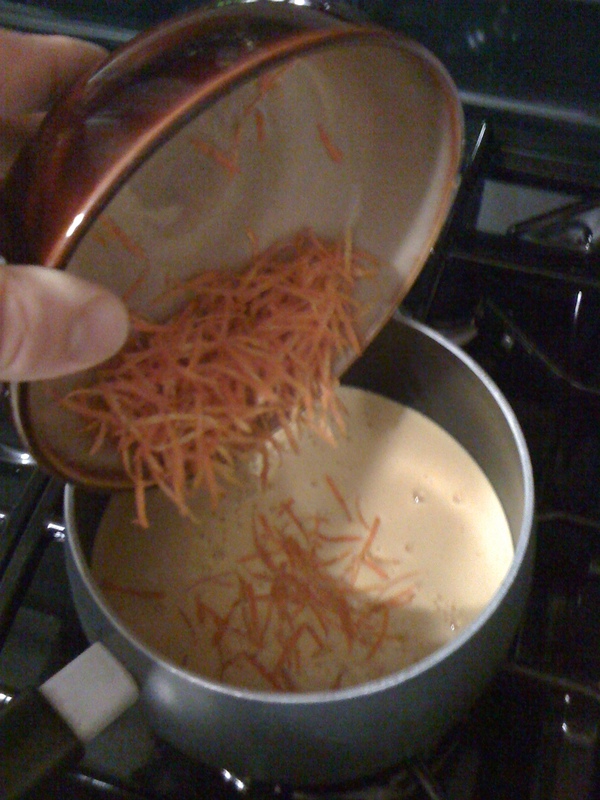 I added the zest into the juice, and heated it up to 170 degrees F, then covered it and let it cool to room temp. Then I dumped it into the primary and will let it sit for about 5-7 days before kegging. Below are some pics. ~ by kungfool on November 6, 2009. Weird. 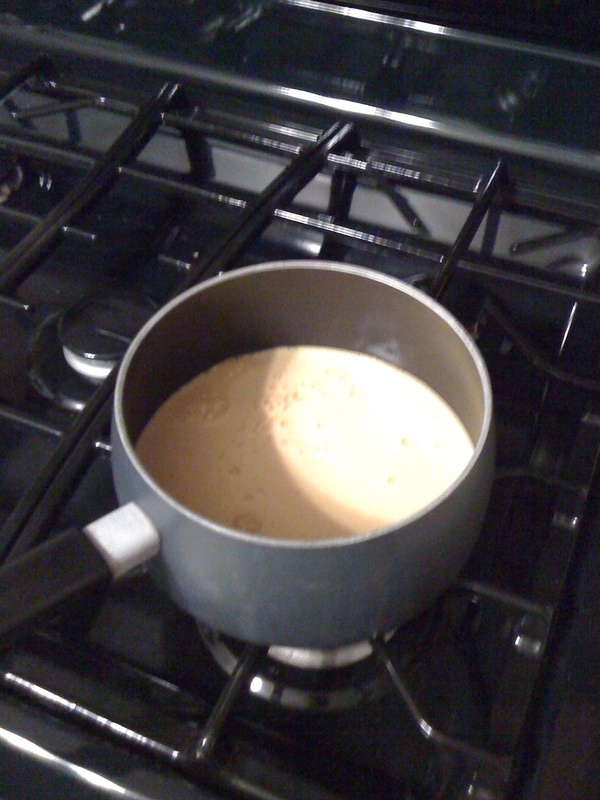 It looks like milk in the pot. Yeah, the juice was a bright, totally opaque orange. Much thicker than store bought juice.